1. Sending thank you notes to your clients is a great way to stand out from your competition. Marketing is basically communicating to your clients and connecting with them. Take some time this week to send out some snail mail thank you notes to your best clients. It doesn't have to be long. You can keep it very simple by saying, "Just wanted to send a little note of thanks for your business." 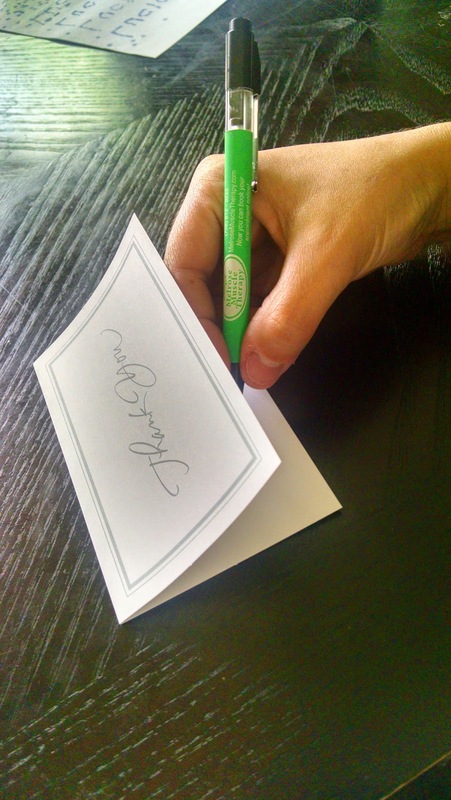 Sign your name and enclose a few business cards. 2. Pick a month (November for Thanksgiving or your business anniversary month) and for each client that has an appointment that month, give them a token of thanks at the end of their massage. It doesn't have to be anything expensive, just a small token of appreciation. It could be a piece of chocolate, or a promotional item like a stress ball, or lip balm, or lotion. If you decide to do this around the December holidays, maybe you hand them a candy cane with a bottle of water. What are your thoughts? Let me know what you do in your massage practice to thank your clients for their business. Comment below or in the Massage Marketing Toolbox facebook group.